"Picking Up the Mask and Dropping It"
Brinks: Your latest book of poetry is Where X Marks the Spot (Hanging Loose 2006), and it's truly an amazing collection; and of course your collaborations with legendary pianists Bill Evans and Marc Copland are beautifully represented in the recent edition of the jazz literary magazine Brilliant Corners (Winter 2008). But I was hoping you might talk a little about the extraordinary work you've done as a translator; particularly in collaboration with poet Zack Rogow as both of you worked together over a period of ten years translating into English some of the poems of French poet André Breton. How did you start to translate? Zavatsky: The first translation I did was in college, when I was reading the Latin poet Horace. It was one of his Odes. The professor brought in a translation of an ode that we had been working on and read it. I was sitting in the back of the class, I guess with some kind of smirk on my face, and the professor said, "Mr. Zavastky, what is it? You have a funny look on your face." This was a Jesuit college. I said, "You know, Father, I think I can do a better translation of this poem." He said, "Oh you do, do you? Well, why don't you just go ahead and do that." (laughter) And I went home and worked very hard on it. When I brought the translation to class, the good Father asked me to read it. His response was: "That's pretty good." Which I considered a high compliment. That was the seed. Then I started translating Baudelaire, a handful of poems. I love Baudelaire. Then I translated a bunch of Rimbaud poems. My goal is to translate twenty of them. I think I've translated about twelve. Maybe some day I'll do a little book called Twenty Poems of Arthur Rimbaud. A little later, when I started to find out about the French surrealists, I thought I had found the key to heaven. I was a student at Columbia University at the time, and was very lucky to find two mentors: Serge Gavronsky, a fine poet himself, a novelist, and translator, who's just brought out a book of translations of French poet Joyce Mansour (Essential Poems and Writings of Joyce Mansour, Black Widow Press 2008). 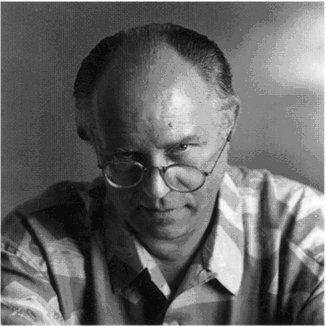 My second was another wonderful professor, LeRoy Breunig. Breunig was a great Guillaume Appollinaire scholar as well as an extraordinary human being. That sort of got me going on translating. I was obsessed with the poetic image and had done a study of the Imagist school-T. E. Hulme, Richard Aldington, H.D., and then Pound. I made a beeline for the surrealist poets because I wanted to discover their secret. What had they discovered? Because they were exploding extraordinary images all over the place, not only in their poetry; it was happening in the surrealist paintings, too. I guess that's what finally led me to translating André Breton with my friend the poet Zack Rogow (Earthlight trans. by Bill Zavatsky and Zack Rogow, Green Integer 2004). He had been doing marvelous translations of Breton, and I suggested that we get together. If I'm going to do a serious translation project, I try to find a collaborator, since two heads are better than one. Another reason to collaborate is because every translation is also an interpretation, so you have to understand as best as you can what the poem means. With somebody like André Breton, that can be a daunting experience. He's very, very difficult. But I'm very glad we did it. I think we did it justice. Brinks: Let's talk a little about this beautiful mind-meld between you and poet Ron Padgett. You joined forces and translated the Poems of A. O. Barnabooth by Valery Larbaud, bringing that stunning collection of poetry into the American literary canon. It was recently published by Joe Phillips and Black Widow Press (2008), and is yet another remarkable tour-de-force book of early 20th century French poetry. Zavatsky: Well, it's funny, Ron and I edited a book together called The Whole World Catalogue 2 which was published by Teachers & Writers Collaborative (1977). It's a handbook of creative writing ideas for students and teachers. And we found that we worked quite well together. We were shooting the breeze one day and I said to Ron, "What are you reading?" Or maybe it was, "What are you translating? " (I had long been an admirer of his Blaise Cendrars translations. Oh, hell, I admire everything that Ron does!) He said, "I'm on to this guy Valery Larbaud; did you ever hear of him?" And I said, "Jesus, I've just started to translate some of his poems!" So we decided to divvy up Larbaud's poems and work on them. I'd do a draft and Ron would do a draft. We'd meet every week at a little sandwich shop in my neighborhood, or we'd meet downtown where he lives, and we'd go over the poems until we had them to the point where we said okay, now we've got to have the native speakers look at them. The first edition of our Larbaud translations came out in 1977 from a wonderful press in Japan called Mushinsha, published by Eric Sackheim. (Ron asked his friend Joe Brainard to do the cover and tint some vintage postcards for the limited edition.) It was a pleasure to be published by Sackheim because the books were so beautiful. Then many years went by - ?87, ?97 - and I guess somewhere around ?07 I said to Ron, "You know, we should get this Larbaud book out again." Zavatsky: Yeah, exactly, the 7 Chakras of translation, or somesuch craziness. That's when we found Joe Phillips at Black Widow Press. We revised the translations. We worked quite hard at it. We made some first-rate improvements. It was a great thrill to get the book out again. Brinks: Tell me this, loosely considering it in these terms: poet Ted Berrigan says in Ron Mann's film Poetry In Motion (1982), "You can't know me any more by knowing me, than you can by reading my poems." Through your work with Ron over these many years, and getting at Valery Larbaud, and through those poems - who is he, who is Larbaud to you? And also this persona, A. O. Barnabooth, which is a creation of Larbaud's? Zavatsky: That was fun, too, because there were two of us, and there were two of Larbaud in a way-Larbaud himself and the imaginary Barnabooth that he created (laughter). You know how it works: that guy on the page is Dave Brinks, but he's not Dave Brinks; or that guy on the page is Bill Zavatsky, but he's also some kind of creation of Bill Zavatsky's. The persona is always there, the mask that the poet or translator is wearing. Larbaud has a beautiful poem ("The Mask") in which he says: "I always write with a mask upon my face. . . ." Ron and I could play with that on and off the page, the "two heads are better than one" approach. Zavatsky: Well, Ron might use other language, so you'll have to ask him that. But to me, A. O. Barnabooth is a spiritual seeker; he's a mutli-millionaire who can go anywhere. Take the fastest, finest trains. He can sail his yacht around the world. He goes to Spain. He goes to London. He's in France. He goes to Portugal. And what is he looking for? He's looking for himself. And what do we find when we do that? Well, I'll use me as an example. I came down here to New Orleans, and what am I finding? I'm finding myself; I'm finding the great piano players that I love; I'm finding nice people to meet and become friends with; and I'm going down to the bayou country, and I'm learning something about being a Cajun, and that music, and that language. In any adventure you find out more about yourself as you open yourself to new experiences and the possibility of change. That's what Larbaud was doing, constantly searching. It's corny but it's true: "Seek and ye shall find." Zavatsky: Yes. Barnabooth is also looking for love. From his hotel window he sees people embracing, and he wonders about himself in the Burlington Arcade in London as he eyeballs strangers. Larbaud had a difficult time in his own life. He came from extraordinary wealth, like Barnabooth. His mother was the powerful figure in the family and pretty much had a grip on him for a long time until finally he became involved with a woman. I believe she became his mistress, and maybe they married, I can't remember. But he had a struggle there: the endless process of trying to become something or somebody or to unbecome something or somebody. For instance, I love how in traditional Hindu society they talk about the four stages of life. First you're a student and you hit the books. Then you marry, you build your household, and you have children. Then you become an established person in middle life, and you help everybody, you make sure your kids are getting an education and finding jobs. Then in the last stage of life, you walk away from all of it. You become a mendicant and you have only the clothes on your back, maybe a little bit of money, and you wander around. Of course, this used to be the tradition in Japan. We see so many of the poets that we love, like Issa, sleeping in little roadside huts set up for the traveling spiritual seeker. Because finally, after you get everything together, your house, your garden, your business, your work, your writing, your books, there comes a time when you have to pull back from all of it. You unbecome, in a sense. You drop the persona. You put down the pen. You throw away the mask to discover what you always were. 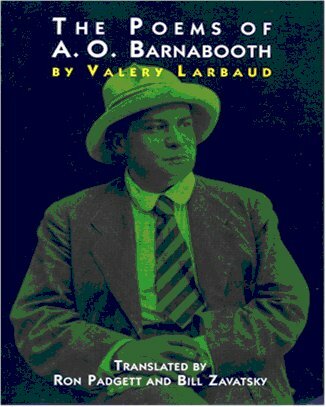 Poems of A. O. Barnabooth by Valery Larbaud; translated by Ron Padgett and Bill Zavatsky (Black Widow Press 2008) ISBN-13: 978-0-9795137-9-4, French, English 225pgs., $19.95, www.blackwidowpress.com.